Keep all receipts, notes and other important papers in one place! Easy for all to use with a large, clear area to write all your information! 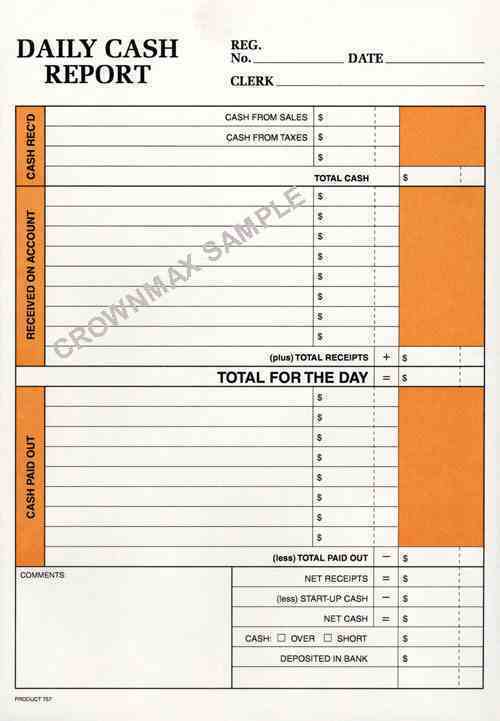 Control your money and receipts in an organized and effective manner! Daily cash reprot envelope is printed in brown ink on heavyweight white kraft paper. Size 6 1/2 x 9 1/2 with gummed flap for easy seal. No customized imprinting is available on this product.